VANCOUVER, BC -- May 19, 2017 -- Geoscience BC today announced its latest aerial survey to identify hidden mineral potential in north central and northeastern British Columbia. Called Search Phase III, the survey will use helicopters fitted with magnetic sensors to build a better understanding of geology in the area. 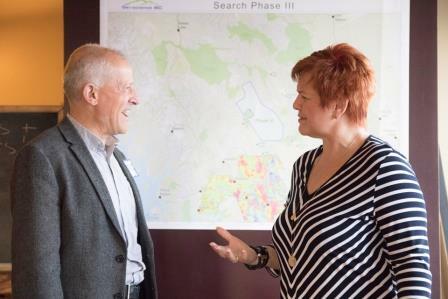 Once complete, project information will be made publicly available to help communities, First Nations, the resource sector and government to make informed decisions about responsible development and investment in BC. This includes helping explorers to decide where to focus their mining efforts which will eventually lead to on-the-ground exploration activities, job creation and stimulate regional economic activity. Search Phase III overview brochure available on our website. Search Phase III covers approximately 9,600 square kilometre -- an area approximately the same size as Haida Gwaii. Final details are yet to be confirmed, but it is proposed to cover a remote area that includes AuRico Metals Inc's Kemess Underground Mine Project, which recently received an Environmental Assessment Certificate. Commenting on the announcement, Geoscience BC Vice President of Minerals and Mining Bruce Madu said: "Experts are certain that there are undiscovered mineral deposits in this area of British Columbia. Conducting this research and making the data open to everyone allows more informed decisions to be made. It encourages targeted and responsible development in the future." The project is funded in part by Northern Development Initiative Trust's Economic Development Infrastructure program. "We are pleased to be a partner in this project," says Northern Development CEO, Joel McKay. 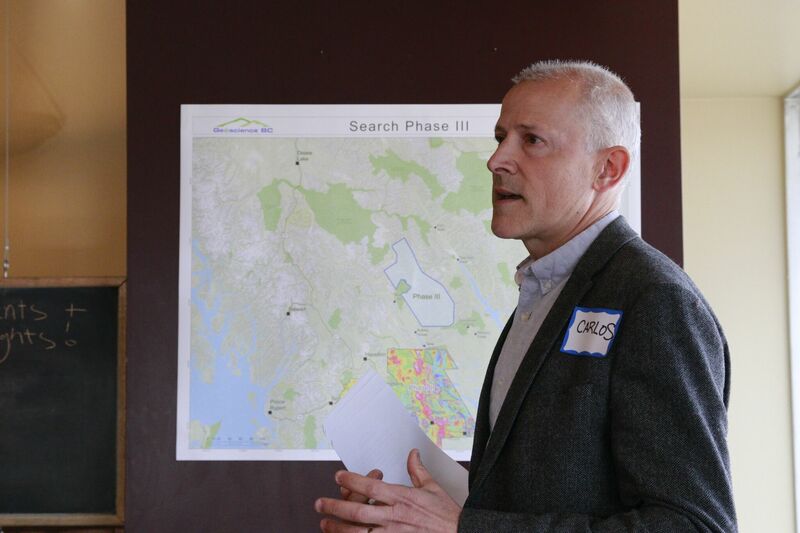 "Studies like this are invaluable for providing regional data that help with informed resource management decision making and identification of new economic opportunities for the entire region." On Thursday, Geoscience BC organized a meeting to discuss the project with community leaders and First Nations. The project is expected to get underway in July, with results ready in early 2018. Search Phase III is a continuation of Search Phases I and II, which were completed in the Kitimat-Terrace-Smithers-Houston-Burns Lake-Vanderhoof area in 2015-16. The latest Search Phase II summary report, digital data, and survey maps are available on the Geoscience BC website. Geoscience BC is an independent, non-profit organization that generates earth science information in collaboration with First Nations, local communities, governments, academia and the resource sector. Our independent earth science enables informed resource management decisions and attracts investment that creates jobs. Geoscience BC gratefully acknowledges the financial support of the province of British Columbia. 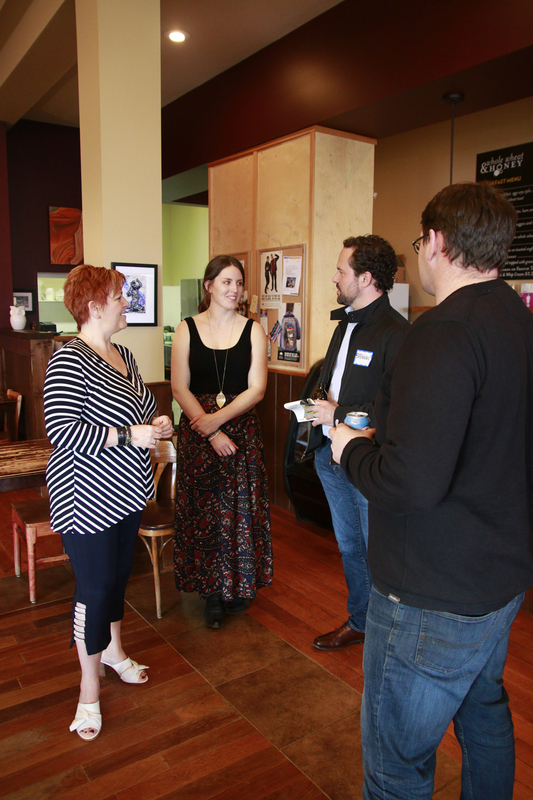 Northern Development Initiative Trust combines funding with smart thinking to help Northern British Columbia thrive. The Trust was created for the north and is led by the north. Since 2005, Northern Development has found more than 2,600 ways to say "yes" to economic diversification in our region, attracting more than $1.3 billion in new investment to the region. * - PwC, Building for the future: The mining industry in British Columbia 2016.